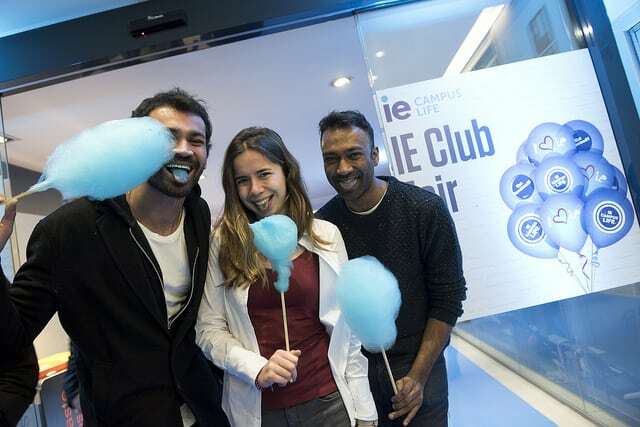 Campus Life & IE Clubs helps students make the most out of the experience at IE! Imagine the thrill of meeting someone from a new country every weekend having a myriad of events to attend each night. Imagine having access to state-of-the-art technology, or a space where your entrepreneurial creativity can thrive. With more than 132 countries represented, 6,000 students, 140 clubs and 500 events, life at IE is all this and much more. It’s life lived to the full. Campus Life aims to transmit IE values and spirit via fostering a more engaged community that supports student initiatives and clubs by making the intangible values visible and fostering spirit and sense of community. The experience is there to be lived. Live it your own way! Inside Out Project: A global art movement to highlight identity, diversity and community. Winter Ball: Dress to the nines for a night to a remember. MBAT Challenge: The next generation of global business leaders compete in a show of athletic prowess. 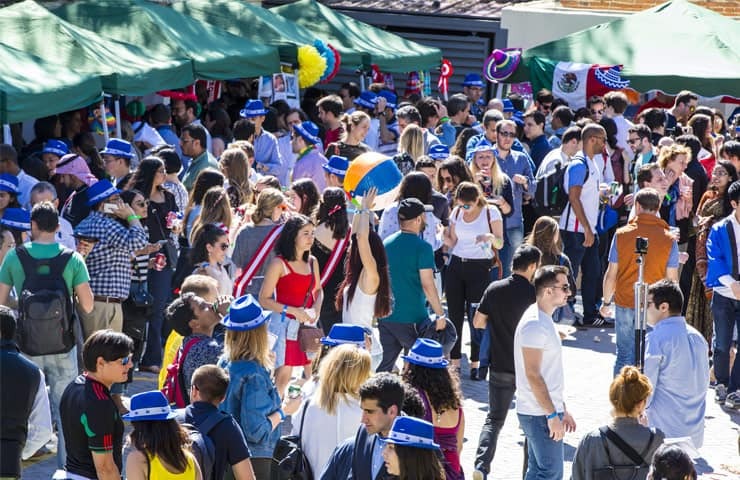 Global Village: The IE community comes together to celebrate diversity and culture. Global Alumni Weekend: Welcome home. 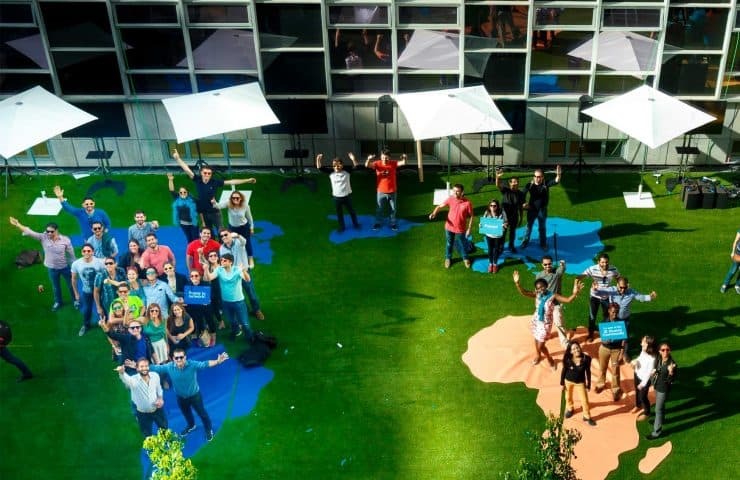 Our graduates come back to our Madrid campus for a weekend of reminiscing, reconnecting, and reflecting on their IE experience. The resources are there to for your benefit. Make them your own! 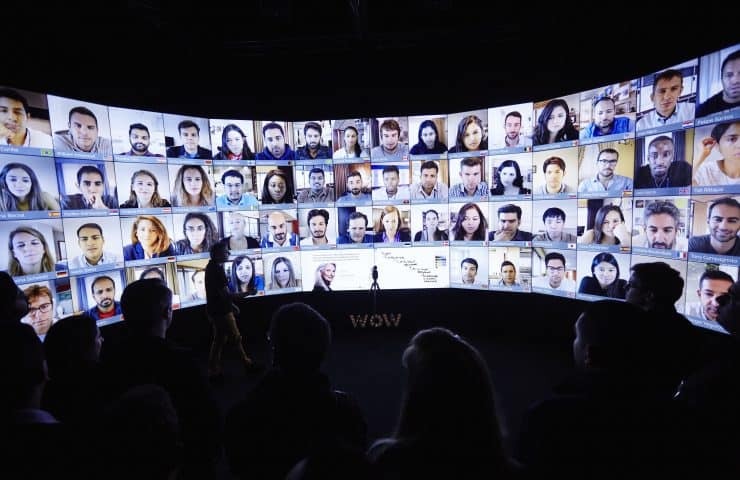 WOW Room: Where we break down traditional educational models, and revolutionize the virtual classroom environment. Area 31: A cutting-edge workspace where entrepreneurial ideas come to life. IE Library: A center of academic exploration and discovery. A place for boundary-pushing and rule-breaking. IEU Creativity Center: Where we enjoy what life has to offer, get inspired and practice mindfulness. IE trading room: Get into the world of professional money management at this home away from home for finance students. IEU Fab Lab: Our dynamic design laboratory in Segovia. Virtual Balcony Teatro Real: The appeal of opera, augmented by advances in audiovisuals. What is an IE Club? The IE Student Clubs are the engine of the IE experience and a crucial part in the creation of a unique, global and fun-filled experience of a committed community with diverse common interests –geographic, professional, social and sports-, that maximizes the opportunities offered by the diversity of our students, faculty and staff. The IE Student Clubs are organized by the community and for the community! Don’t miss out any of the activities because it’s a great and unique opportunity to widen your network and share your experiences, hobbies and similar concerns. We’ve got it all. What more could you want? Every year, our students participate in over 80 active student clubs. Whether it’s rugby, AI Club, or the Net Impact club, we help students to explore their interests while getting their hands dirty and building life-long friendships. The Campus Life & IE Clubs team will support you and make your experience at IE more enriching on every level.